Some people just have a knack for writing and have a fiery personality to match that knack with. Among some of Japan’s most venerated writers of the early 20th century was Shiga Naoya, who was so good at writing stories, he was given the nickname of “the god of the Japanese short story”. This article tackles his life, his work, and everything in between. The name Shiga Naoya is written in Japanese as “志賀 直哉”, and sometimes written as “Naoya Shiga” for western consumption. The man was a distinguished, idolized Japanese fiction writer, novelist, short story writer and autobiographer during the Taisho and Showa Periods of Japan. He was born on February 20, 1883, in Ishinomaki City, Miyagi Prefecture, Japan. He was the grandson of a samurai under the service of the prestigious Soma Domain, and his father was a banker who had made quite enough money. At age three, his aristocratic family transferred their residence to Tokyo to live with Shiga’s grandparents. Shiga’s father remarried after his mother passed away when Shiga Naoya was only thirteen years of age. Shiga was basically raised by his grandparents from then on. The relationship between father and son was already strained, and it became even more so when Shiga’s father changed his religion to Christianity. Uchimura Kanzo was the person responsible for influencing his father’s religious conversion. A Japanese Christian evangelist, Uchimura Kanzo, founded the Nonchurch Movement of Christianity during that period and was considered a pre-World War 2 pacifist. He also had very little influence on Shiga. Naoya Shiga’s rebellious streak created a frail relationship with his father. Shiga loved to advocate, fight for social causes, and live by his own rules. In 1901 he wanted to participate in a protest against Ashio Copper Mine which caused the river situated across to be polluted. As a result, many inhabitants of the area around that river were poisoned. Shiga’s father happened to be a part owner of this mining company and he was able to stop Shiga from joining the protest. Adding more troubles to his family, Shiga began having an affair with the household maid, which was discovered much to everybody’s dismay when he announced that he wanted to marry this family maid. After he was criticized for his deemed careless and reckless lifestyle, Shiga’s lover – the maid - was made to leave the household. Shiga acquired his education from Gakushuin Peer’s Elementary School; a prestigious school for noble members of society. It was in this school that he graduated Senior High School. He then went to Tokyo Imperial University but did not finish his course, as he left without graduating four years after he began. However, while he was still studying, Shiga began socializing with friends who also aspired to be writers like him. Being inspired by them, he announced to his family his intention to be an author, causing another crisis in the family. Shiga’s introduction into the literary world thus began with this literary magazine, written by hand, called Boya (“Perspective”) which made its rounds with those who were interested in literature at his school. While he was in school at Gakushuin he made friends with several famous authors like Kinoshita Rigen (1886-1925), Satomi Ton (1888-1983), Saneatsu Mushanokoji (1885-1976), Takeo Arishima (1878-1923) and Nagayo Yoshiro (1888-1961). Together with other members who they deemed worthy, they formed a publication called Shirakaba, as well as a group called “Shirakaba-ha”. The Shirakaba-ha (which means “White Birch Society”) was a literary association of alumni from Gakushuin who published a literary magazine also called Shirakaba (1910-1923). Quite influential at that time, the group wrote about rejecting religion and emphasized in being a visionary, an optimist, and a dreamer. The magazine dealt with topics such as philosophy, Western art, and literature – all while also respecting Japanese culture and folk art. Shiga Naoya’s contribution to the first publication of the magazine was entitled “Abashiri Made”, or “To Abashiri” in English. The group’s most common style of writing was often of the “I novel” kind – or in Japanese, “Shishosetsu, Watakushi shosetsu”. This was a sort of confessional-style literature, which means that the author writes about events of his personal life. Much like an autobiography, the “I novel” would show both the good and the bad side of the writer, or self. Shirakaba was in circulation from April 1910, hit a fame high in 1918, and discontinued in 1923 after the Great Kanto Earthquake caused much devastation and death in Tokyo, Japan. Just to give an example of how much of a rebel Shiga was (and how he used the I Novel style to show it), note that he published “Otsu Junkichi”, which writes about his love affair with the family maid under the mask of supposed fiction. However, this was merely truly a piece of his autobiography, muddled so as to not directly incriminate him. This outraged his family so much that they forced Shiga to leave the residence of his family. Shiga was particularly famous for the short stories he would write. “An’ya Koro” (A Dark Night’s Passing) (1921-1937) was considered a major work of his, and this was published and serialized on Kaizo, which was a magazine with socialist agendas. At the age of 31, Shiga fell in love with a cousin of one of his good friends since his schooling days, Saneatsu Mushanokoji. Saneatsu’s cousin had already been through a previous marriage and bore a son under her ex-husband, which caused yet another clamor in Shiga’s family. His father was so angry with him that they completely broke ties, with Shiga not even wanting to receive the inheritance from his father. Things would take an upside-down turn though when Shiga’s second daughter was born 3 years later. He and his father make up, which is what his novel “Wakai” is all about. As Shiga continued to live his life and create more literary pieces, he received both praise and criticism from those in the Japanese literary world. His sincerity and abruptness in his way of writing would draw praise from personalities such as Agawa Hiroyuki and Ryunosuke Akutagawa. Dazai Osamu, on the other hand, was not the biggest fan of Shiga’s lack of subtlety. Shiga traveled all over Japan and did not reside in one place for long, as he was always moving. In fact, it is said that he changed his residence around 28 times. Shiga truly loved drawing inspiration from the different locations and sights that he would experience, and write about them, as he did about Kinosaki. He did stay put from 1925 until 1938, however, and his house was across Nara Park, which has been preserved as a memorial museum until today and draws many tourists, visitors, and fans of his work. 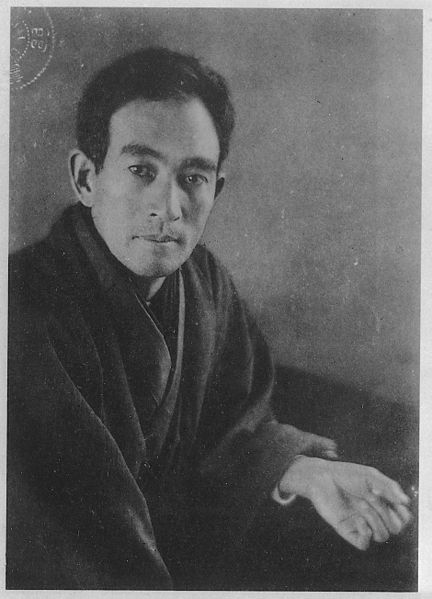 After Shiga turned 53, he published little to no work aside from an occasional guest contribution of himself reminiscing about the past, published in a literary journal here and there. He would, however, continue to be recognized for his previous work, as the Japanese government awarded him the Order of Culture in 1949. Some attribute the possibility of his lack of literary production to his tendency to make autobiographical novels, wherein there comes a saturation point that you can no longer fill because you’ve already filled it. As he got older, Shiga contracted ailments which he endured, but finally gave into pneumonia in the year 1971. He was 88 years old at the time. 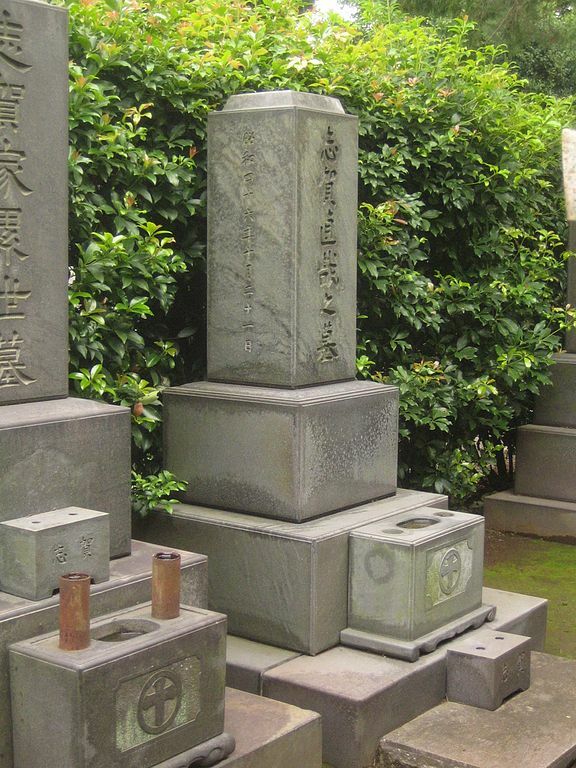 His remains can be found in the Aoyama Cemetery, which is in Tokyo. Shiga Naoya wrote many short stories, but only one full-length novel, and this was it. Kaizo, which was a general-interest magazine sold in Japan long ago, is what published this novel, bit by bit, as it was serialized. The novel ran for as long as 16 years in that magazine and was later translated by Edwin McClellan into English. “A Dark Night’s Passing” deals with a Japanese writer named Tokito Kensaku, who, despite his riches and youth, thinks that marriage will solve the unhappiness that weighs him down in his life. It has four segments to it. Was Tokito successful in finding happiness? You’ll just have to read the novel to find out. A short story that premiered in Shirakaba, which Shiga helped found, “Han’s Crime” is about how Han’s wife, who worked as a circus performer, died after she was stabbed by a knife that Han threw. Although it is established that Han indeed did murder her, what is most compelling about the story is how the argument for whether Han was guilty or not was illustrated in dialogue-style. Other characters, such as the stagehand, testifies before the judge that he was a good man, making it hard to believe that Han would ever do such a thing – but that’s where it gets psychologically probing. Did Han mean to kill his wife, or was it all a horrible accident? “The Paper Door and Other Stories” is a collection of 17 short stories, all written by Shiga, and translated by Lane Dunlop. Lane Dunlop carefully picked these 17 stories herself to fully display Shiga’s sincere talent and conciseness in the way he writes. Other stories in this book include “A Gray Moon”, “Rain Frogs”, “The Little Girl and the Rapeseed Flower”, and others. The book currently has a rating on Goodreads for 3.8 out of 5 stars, by 171 reviewers, usually leaving reviews of high satisfaction. It is perfect for someone who prefers a quick read over a long novel, or Japanese short story enthusiasts. The town of Kinosaki, pronounced “Kinosaki-cho” (城崎町) once belonged to the Hyogo Prefecture. While Kinosaki no longer exists today, it was a town that used to exist up until April 1, 2005, when it was merged with other towns. Tanto and Izushi, which were from the Izushi District, merged with Hidaka, Takeno, and Kinosaki itself from the Kinosaki District all came together to form a larger Toyooka city, which governs each area. However, the district still technically exists, with 3,778 people living there as of 2010. Kinosaki is different from other areas of Japan because this entire area competes to complete one objective; to offer the most relaxing spa experience. Because its location makes it convenient to source water for onsen (Japanese hot spring bath), many have set up businesses (such as Ryokan – traditional Japanese inns) and resorts here such as spas and bathhouses. 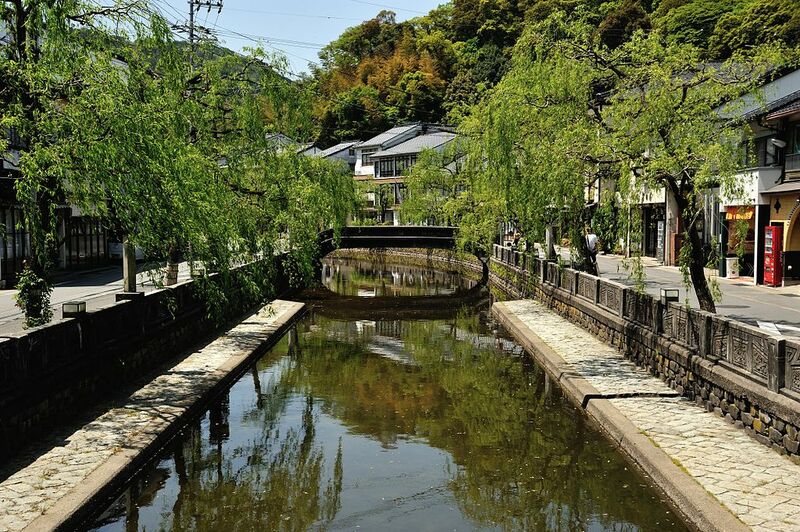 It has been famous for being an “Onsen town” for more nearly a millennium and a half and is still very popular today. In such a relaxed atmosphere, it is common to see people strolling about, donning their yukata (a casual summer kimono). Perhaps its different, relaxed atmosphere and its quaint shops and bathhouses inspired a setting for Shiga to write in, unlike anything in this world.